ITV’s cycling commentator Ned Boulting returns with an all-new production, built with wobbly precision on the edifice of the greatest bike race on earth. From the cobbles of Roubaix, over Alpe d’Huez towards the grand finale in Paris, Tour de Ned will recreate the gut-wrenching, edge of the seat drama of the race on a stage near you. Boulting will relive memories of the best moments from the summer seen from the sometimes wonky perspective of the man who is paid to watch the telly and shout out names as riders climb, crash, stop for a poo and attack each other. 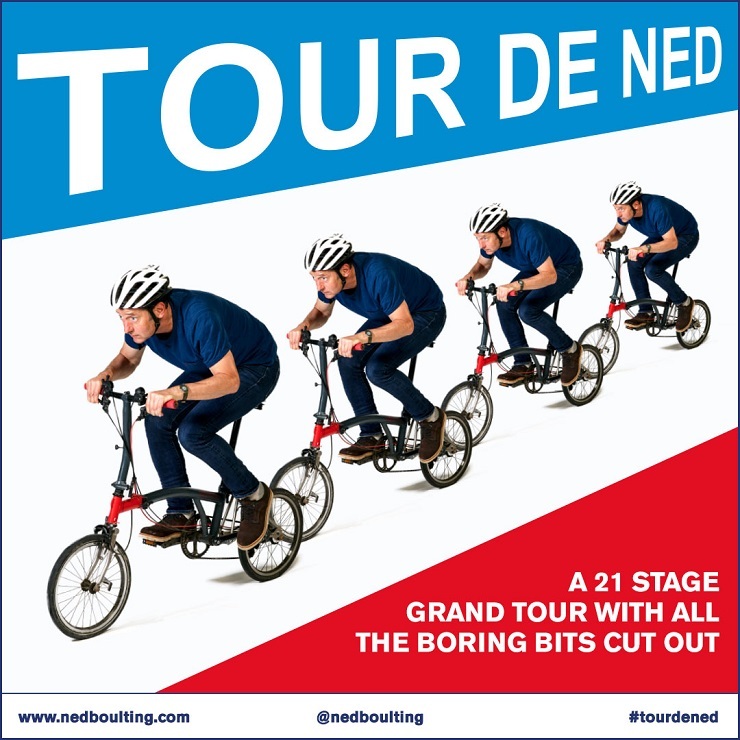 Accompany the commentary team from motorway service station to the top of the Pyrenees, via two-star hotels in industrial estates and private jets (just kidding), Tour de Ned will bring to life the thousands of kilometers travelled as they unfold alongside the grandest of Grand Tours. So, prepare for an autumn evening of summer heat as the Tour de France becomes the Tour de Ned for one night only, on a stage near you.